Do you want greater investment returns? Our OYOB team is unlocking the secrets of collaborative investment, bringing together Victoria’s best property investment specialists and developers to help every day Australians gain access to wholesale pre-developed land prices. It is no secret Melbourne house prices continue to rise and with our city set to be the largest in Australia by 2055, and in many suburbs these prices will only continue to rise. Future generations are now being forced to look to outer suburbs, as they can no longer afford the real estate with in Melbourne metropolitan areas. It can be overwhelming… but it doesn’t have to be. We have gathered the basics of how anyone can invest in property today and created this short eBook on how we’re changing the game of property investment. It’s about improving property accessibility and returns by doing things differently and investing together. We can’t wait to share more with you. 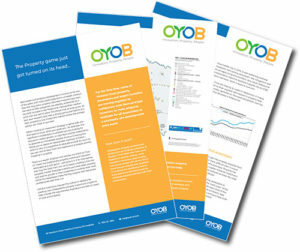 Our OYOB team always believe that knowledge should always be shared, so feel free to share this post so your friends and family can also benefit, and learn, how our unique approach to property investment can help all Australians to achieve greater returns, pay off your mortgage sooner or even prepare for retirement and build passive income. Find out how wholesale property investment can help you achieve your financial goals. Previous post: The Melbourne property market is hot – am I too late to invest?